Yejide and Akin, a married Nigerian couple, are two college sweethearts desperate to have a child. After years of trying to conceive and undergoing dozens of traditional remedies for their infertility, cultural expectations and familial pressure eventually lead Akin to take on a second wife. It doesn’t go well, and what follows is a severe, tragic desperation that takes hold of both characters. The majority of this novel is the sheer length to which Akin and Yejide go through to fulfill their desires. I really can’t tell you any more than a basic summary here because this book’s got more twists and turns than an episode of the Jerry Springer Show. For me, the astounding number of unexpected events is one of its greatest weaknesses–there were just too many secrets, too many curve balls. I would even go so far as to say that the number of ‘reveals’ here had the opposite effect of moving the novel forward and watered down some of the major themes that the author was obviously trying to convey (political instability, class divisions in modern African society, etc). Also, I did not like the ending, after all that I’d read it just seemed a little too convenient for plot’s sake, a little too deus ex machina-ish to me. Still, I won’t go lower than 4 stars here. Despite some of the flaws, this book is still intensely readable. I can also say that I learned a lot about Nigerian culture (food, songs, stories, cultural beliefs) in the process, without feeling like I was reading a textbook. 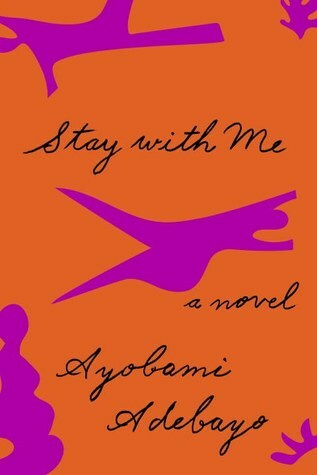 Adebayo is definitely an author to watch.